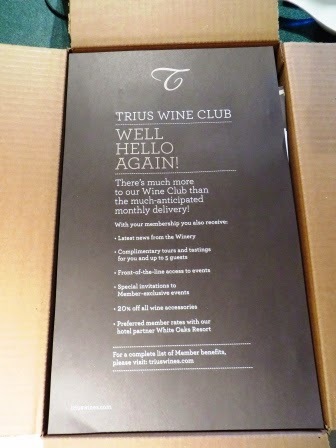 Gord and I have been members of the Trius Wine Club for over ten years. Every month, 2 bottles of our best wine will be delivered to your door along with Winemaker Craig McDonald’s tasting notes and Chef Frank Dodd’s recipes. 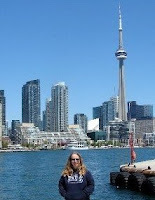 The cost is $43 a month and it's only available in Ontario. 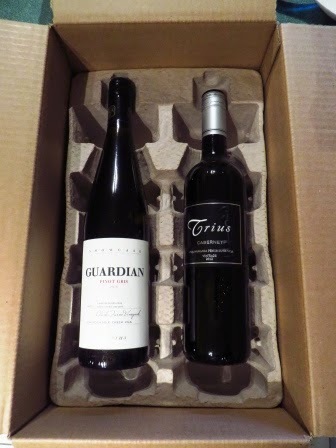 Our Trius wine club box arrived today. That sounds like a good one to me!